Moss Glen Falls near Stowe. Even Vermont has major tourist attractions that draw summer and winter hordes. Ben and Jerry’s Ice Cream factory in Waterbury enjoys cult-like status to its visitors, and the ski resorts are a major part of Vermont’s winter economy. There are also the outlets in Manchester, and of course the state’s flagship city, Burlington, with its trendy downtown and university. But most of the state is off the beaten path, and many visitors overlook beautiful and interesting places right under their noses. Here are a few. 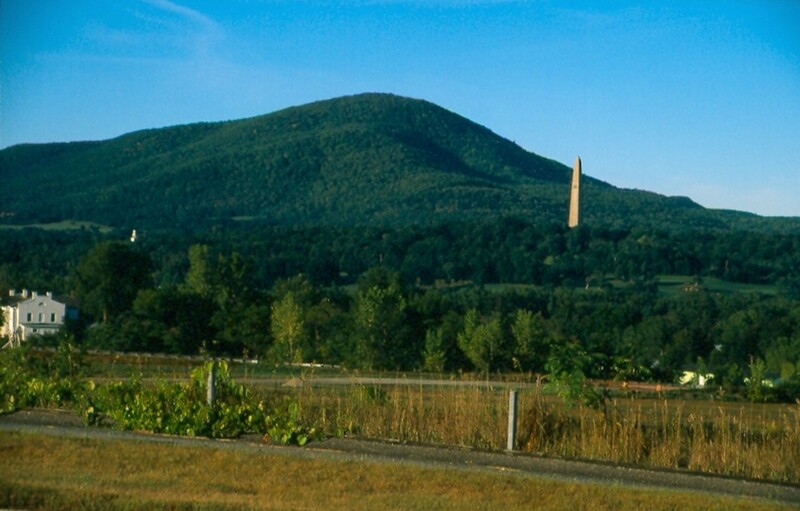 The Bennington Battle Monument and Mount Anthony (background) from Route 7. The Bennington Battle Monument in Old Bennington commemorates the Battle of Bennington which was fought ten miles away in New York in 1777. In that battle, American militia thwarted a British raid on Bennington. Today a beautiful 306’ dolomite obelisk, the tallest free-standing structure in Vermont, sits on a hill overlooking the valley. The cornerstone for this dolomite monument was laid in 1887 and completed in 1889. The rock for the monument was quarried in Hudson Falls, New York. An observation deck at the 200-foot level has great views of Vermont, Massachusetts, and New York. The entrance fee for this state historic site is reasonable at only $2.00 for adults. Take some time to walk Old Bennington, sometimes called the Williamsburg of the North. 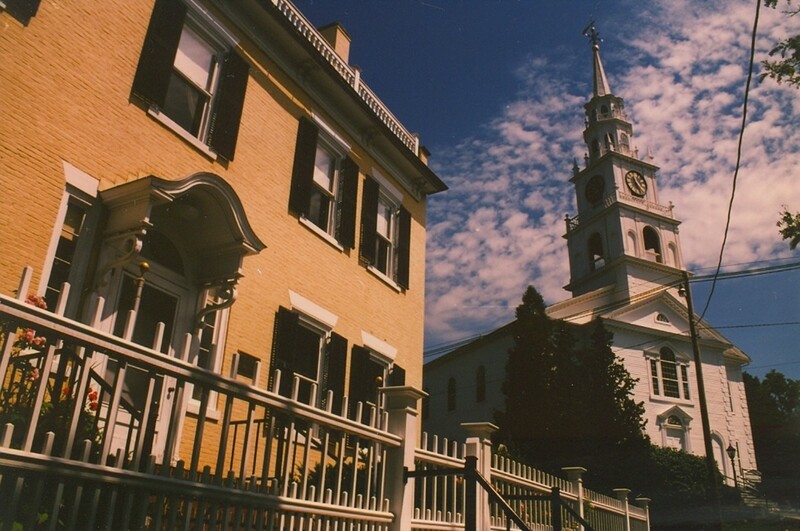 Chartered in 1749, the village of Old Bennington is on the National Register of Historic Places. Robert Frost is buried in the cemetery of the Old First Church (c. 1806). The town of Saint Johnsbury, on the northeast side of Vermont, does not get as many visitors as northwest Vermont. It is on I-91 as it makes its final miles to the Canadian border, closer to the White Mountains of New Hampshire. This is the edge of the so-called Northeast Kingdom where maple-sugar farms and conifer stands pepper the landscape against a beautiful backdrop of hills and mountains. If you don’t know what to do in this nice town and have seen nearby Lake Willoughby, two places in the city are worth a visit, especially on a rainy day since they are indoors. 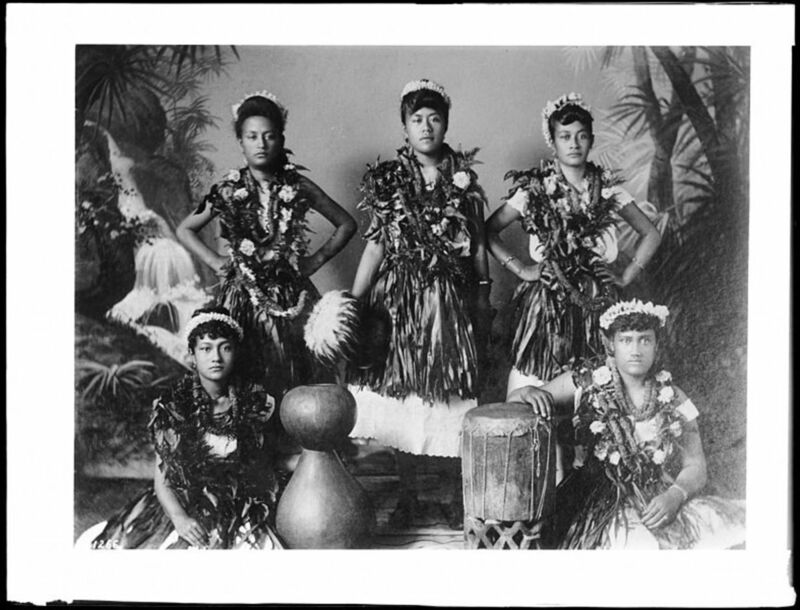 The Fairbanks Museum, founded in 1889, has natural science, historical, and ethnological exhibits as well as a planetarium, which makes it a good place for everyone, kids included. Admission is $8.00 for adults, kids five and under are free. The museum is closed from November to March. The St. Johnsbury Athenaeum has a small but excellent collection of art, including paintings from the Hudson River School artists such as Albert Bierstadt. His famous Domes of Yosemite is housed in the collection. Most of the Athenaeum is a library and the whole building and its content were donated by Governor Fairbanks. Entrance is free. Lake Willoughby with clouds shrouding Mt. Pisgah. 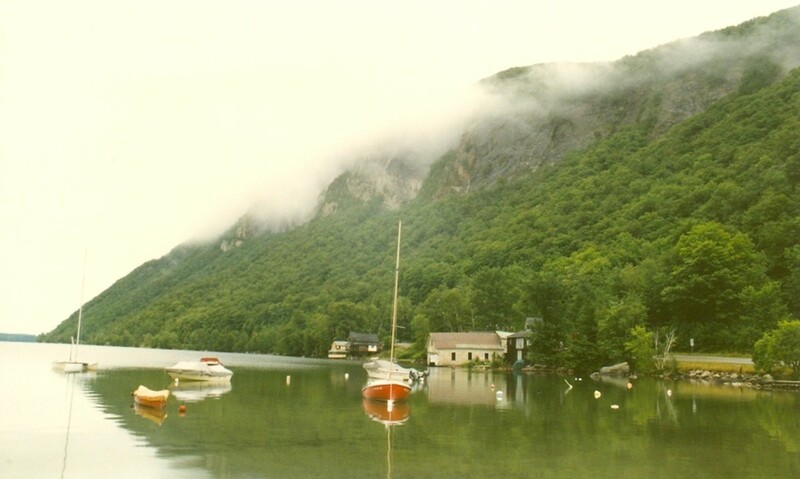 Lake Willoughby sits in a deep cleft in Vermont’s Northeast Kingdom, wedged between Mount Pisgah (2785’) and Mount Hor (2657’). Most people see just a gap when approaching from far away. 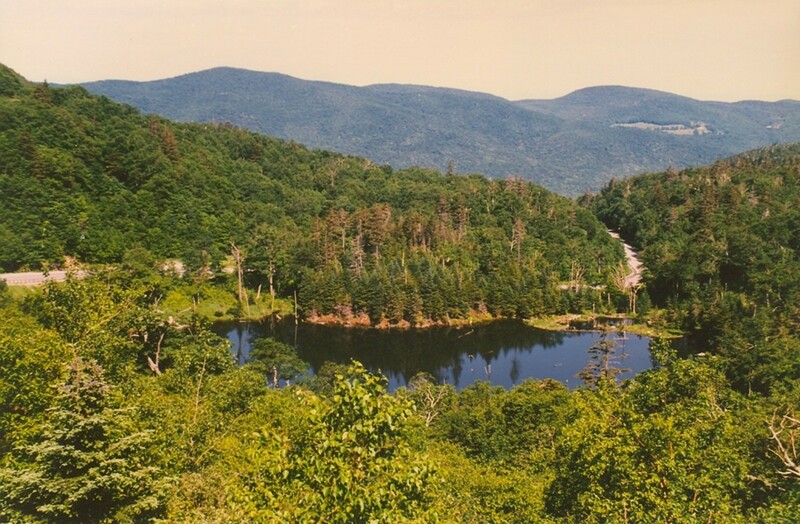 This narrow lake is the state’s deepest entirely within Vermont at over 300 feet. The lake was formed by a retreating glacier, and its appearance is similar to some of the other granite notches in New Hampshire’s White Mountains, except that the Willoughby Notch is occupied by a lake. The most dramatic views are from the southeastern end where the two aforementioned peaks rise abruptly from the lake’s shore. The Falls of Lana near Brandbury State Park. 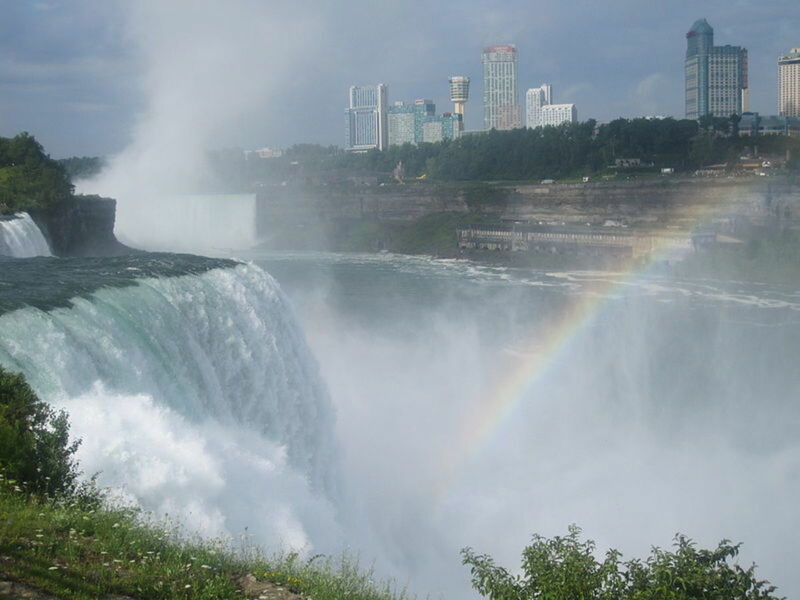 The state is well endowed with waterfalls. There are actually two Moss Glen Falls in the state, and both are beautiful. The one in the photo at top, near Stowe, takes a little more effort to get to, but is just a short hike from the roadside and one of Vermont’s most spectacular. The falls tumble more than 120’ into a steep, wooded glen. 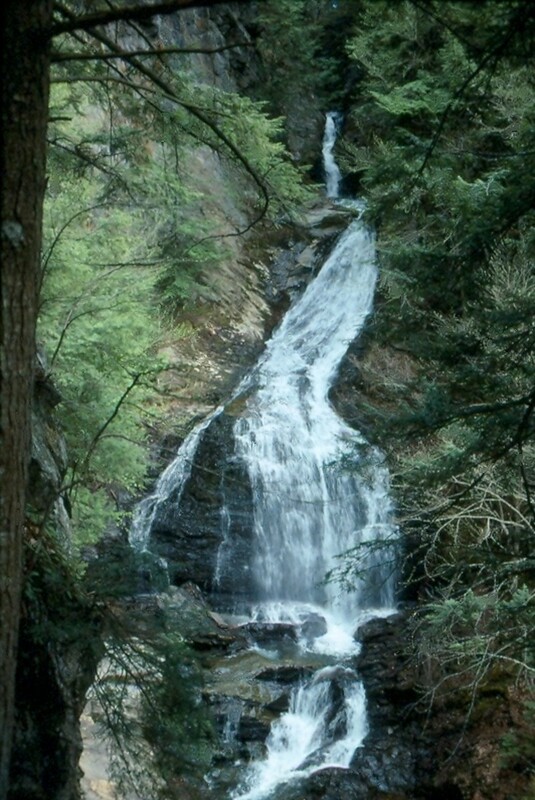 The other Moss Glen Falls is in central Vermont, along Route 100 near Granville, and can be viewed from a roadside pullover. 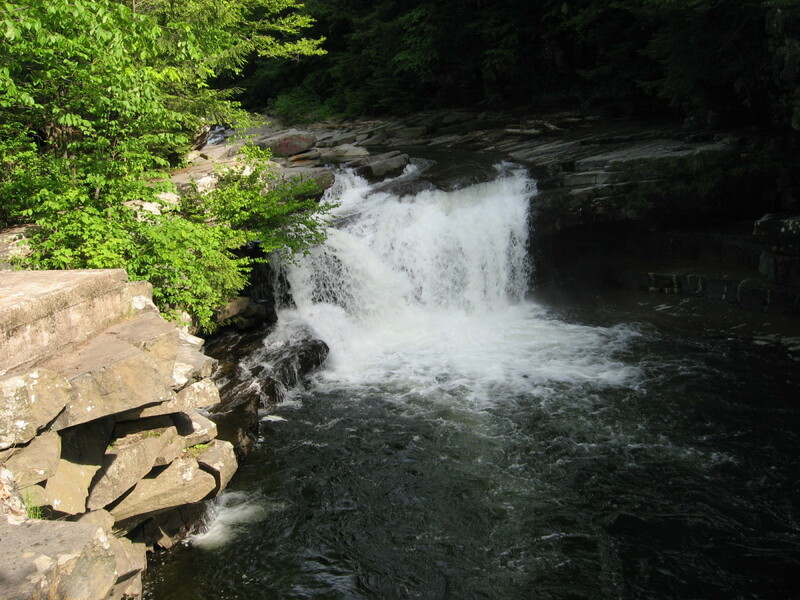 Others worth visiting include Lye Brook Falls and Hamilton Falls, both in southern Vermont, Texas and Lana Falls in central Vermont, and Bingham Falls near Stowe. 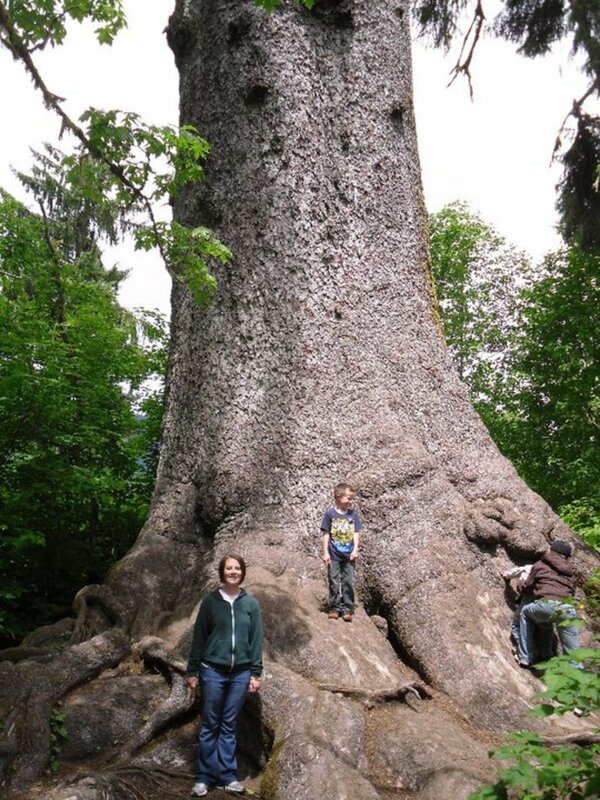 Check for directions, as some of these require a hike while others are accessible from short roadside trails. Lye Brook Falls requires the longest walk: 2.3 miles one way and a gain of almost one thousand vertical feet. Mount Equinox from Route 7. You can faintly make out the hotel at the summit. Mount Equinox Skyline Drive climbs to the summit of the highest mountain in the Taconic Range from the Valley of Vermont in 5.2 miles covering 3248’. Be sure your car can handle the grade as this is no doubt the steepest drive in the state. This toll road is a great way to take in some great views and do some hiking to the various lookouts. The summit of Mount Equinox (3852’) rises abruptly from the Valley. Good views, especially of Stratton Mountain (3940’) ,can be seen. There is also a hotel at the summit but it has been closed because of the difficulty of maintaining it. Skyline Drive is owned by the nearby Carthusian monastery. It is closed from November 1st to April 30th. The Drive begins off Route 7A in Sunderland. Cost is $12 per car and driver and $2 for each additional passenger. 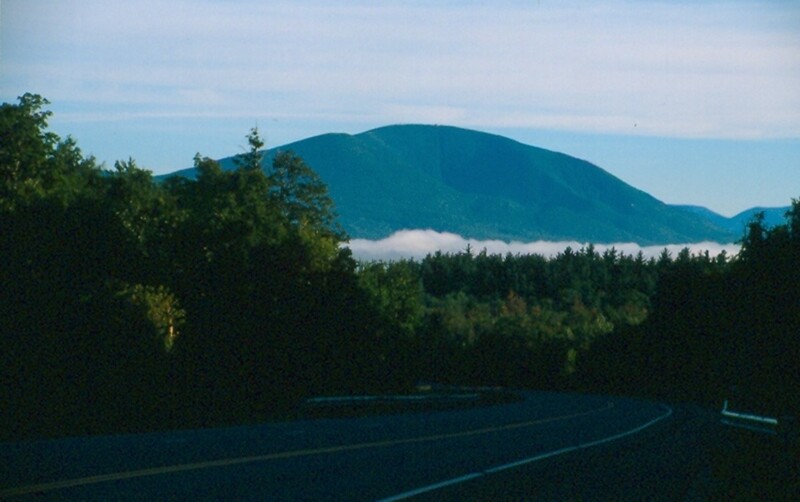 Mount Equinox is one of four mountain toll roads in the state. The other three are on Mount Ascutney, Burke Mountain, and Mount Mansfield. 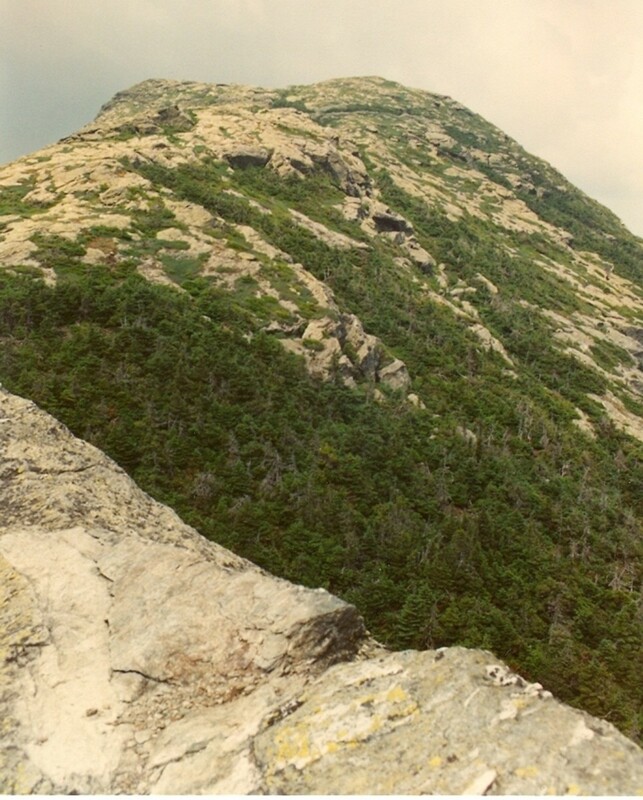 The Chin, Vermont's highest point, Mount Mansfield. 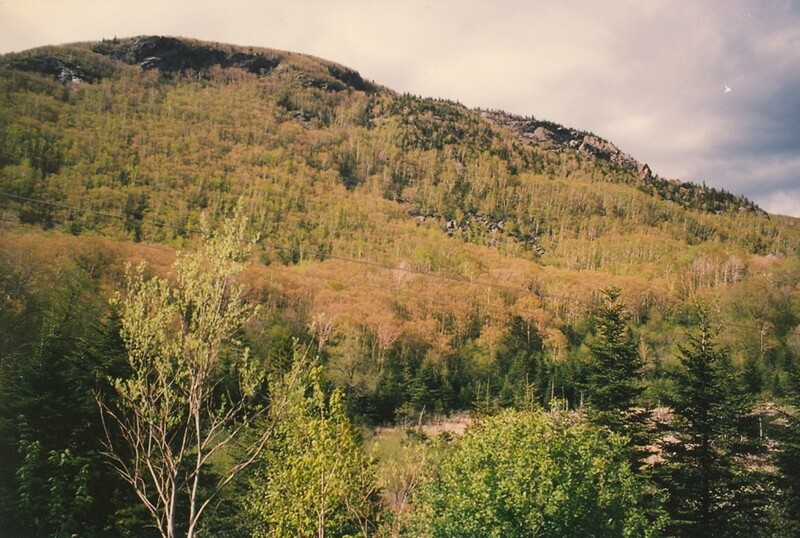 Mount Mansfield (4393’) is the state’s tallest mountain, located in the northern third of the Green Mountains. Its summit ridge resembles a face from the east, hence the names given to the summits: The Chin, The Nose, Forehead, Adams Apple, Upper Lip and Lower Lip. Whether you see the resemblance or not the mountain is a natural wonder which deserves a closer look. 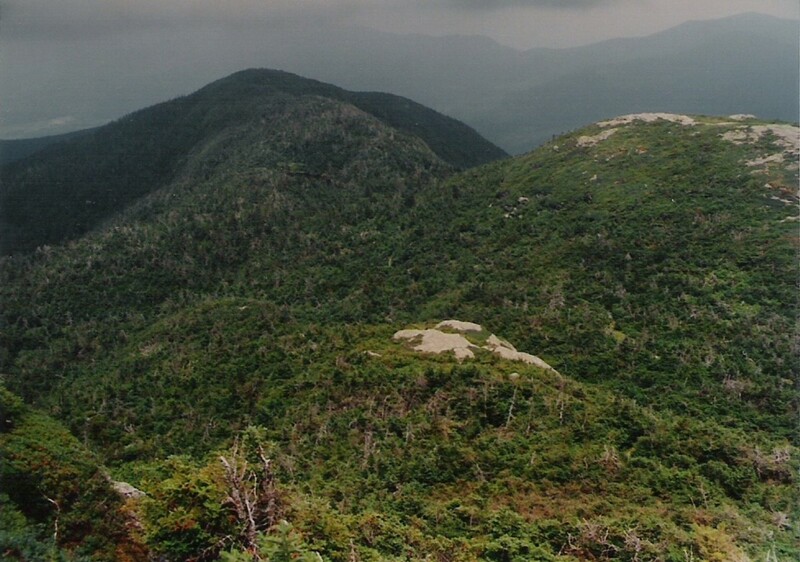 The Chin is the tallest point in the state; numerous hiking trails criss-cross this mountain in all directions. The Cave of the Winds, formed by talus blocks under the summit ridge, and Cantilever Rock are just two of the curious formations on this mountain. 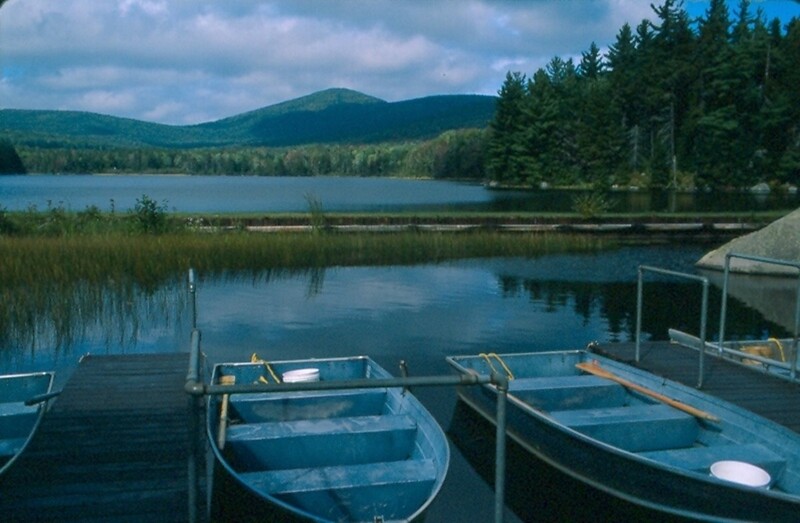 Other natural features include the highest lakes in the state: the spring-fed tarns Lake of the Clouds and Bear Pond. The summit ridge also harbors the largest of the state's four areas of fragile alpine tundra. Despite the development on the mountain, including ski trails, an alpine toll road to the summit ridge, and telecommunications hardware on the Nose, the mountain has its unspoiled corners and great views of the rugged countryside in all directions. Bears Head (left of center) from the Chin, Mount Mansfield. Barely visible is Lake of the Clouds below Bears Head. 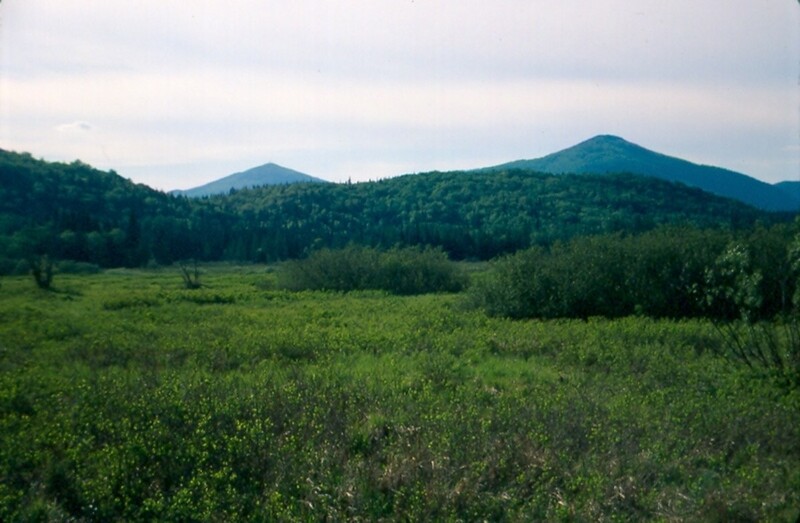 Camel's Hump (4083’) is Vermont’s third tallest mountain, along with Mountain Ellen, and sits on the south side of the broad Winooski River Valley opposite Mount Mansfield. Like its taller neighbor, it too harbors a unique alpine tundra community on its windswept, treeless summit cone. 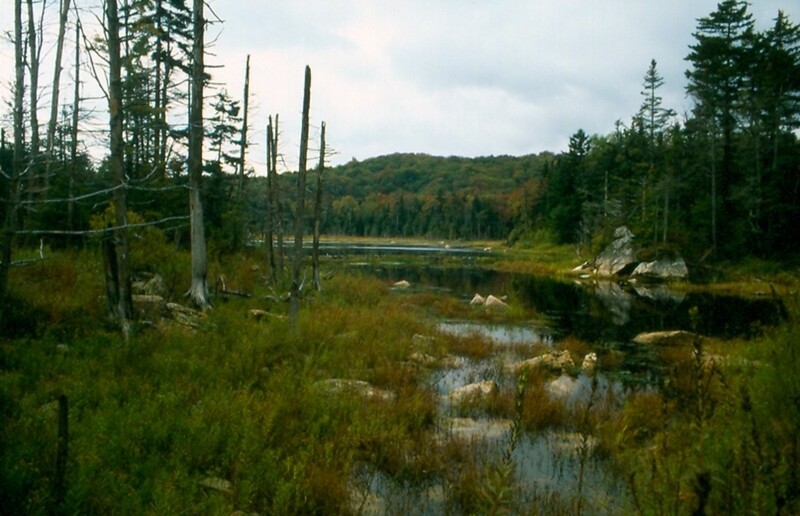 Unlike Mount Mansfield, there is no development on the mountain, which makes it great for hiking. Its cone-like shape, which eventually gave it its present name (older names include The Crouching Lion and Camel's Rump), is also more outstanding than Mansfield’s, and Camel’s Hump seems to float above the valley like no other mountain in the state, rising an abrupt 3700 feet from the Winooski River Valley. Trail access is via Huntington Center (Burrows Trail) from the west, Waterbury (Monroe Trail) from the east, or the Long Trail for overnight backpackers from the north or south. Many "notches" or passes in the state cross the Green Mountains on an east-west axis. Smuggler's Notch is Vermont’s best-known notch, mostly because of its history and the well-developed ski areas nearby. Located on the shoulder of Vermont’s tallest mountain, Mount Mansfield, Smugglers Notch separates Mansfield and the Sterling Range. Route 108, so narrow in places, squeezes between boulders and beneath cliffs and reaches a maximum elevation of 2170’. The Long Trail traverses the notch at the high point. The Notch got its notorious name during the Napoleonic Wars when President Jefferson forbade trade with the Great Britain. Vermonters used the notch to smuggle goods to Canada, then a part of Great Britain. Later during Prohibition it was used to bootleg alcohol. 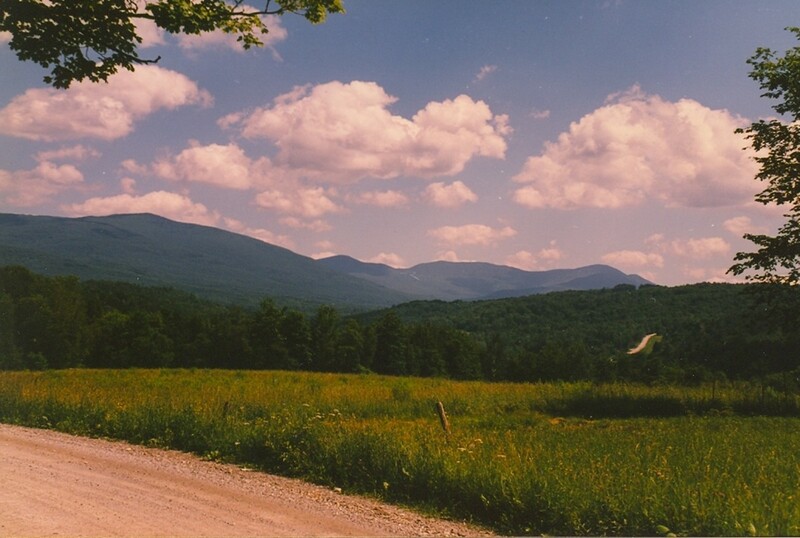 Other well-known passes, from south to north, are Mad Tom Notch (2445’), Sherburne Pass (2190’), Brandon Gap (2170’), Middlebury Gap (2150’), Lincoln Gap (2424’), Appalachian Gap (2356’), and Hazen’s Notch (1793’) which is north of Smugglers Notch. All of these have improved road access. The cliffs of Mt. Horrid from Brandon Gap, Central Vermont. The Presidential Range of Vermont from Lincoln. View west from Appalachian Gap. Another fine notch in the state, accessible only by foot, is Nebraska Notch, south of Mount Mansfield. 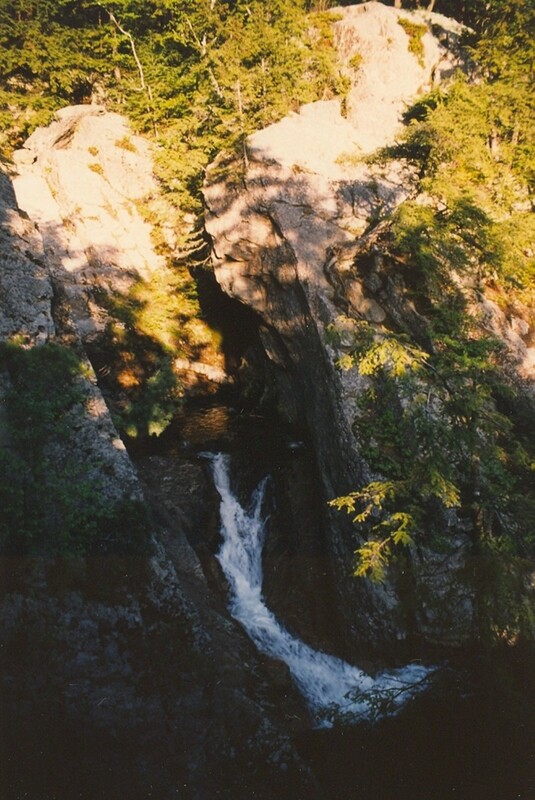 The adjacent Miller Brook Cirque is also considered one of the best examples of a glacial cirque in the state. Lake Mansfield below the Miller Brook Cirque and Nebraska Notch. 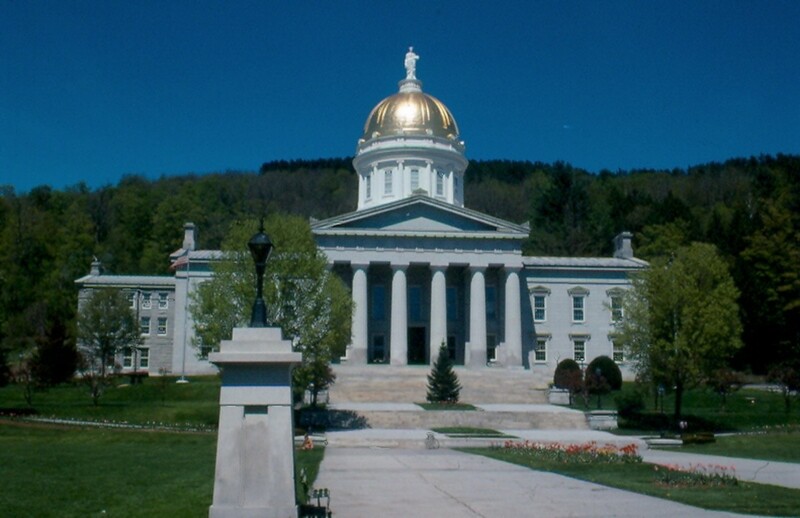 Vermont’s state capital, Montpelier, is the smallest in the nation, a town with about 8000 people in a bucolic setting. The centerpiece of Montpelier is the quaint and beautifully set state capitol building. This Greek Revival building, completed in 1859, is the third to stand on the site. The brilliant gold-leaf dome rises 136 feet above the ground. The State Capitol in Montpelier, c. 1859. Noyes Pond from Seyon Ranch State Park. 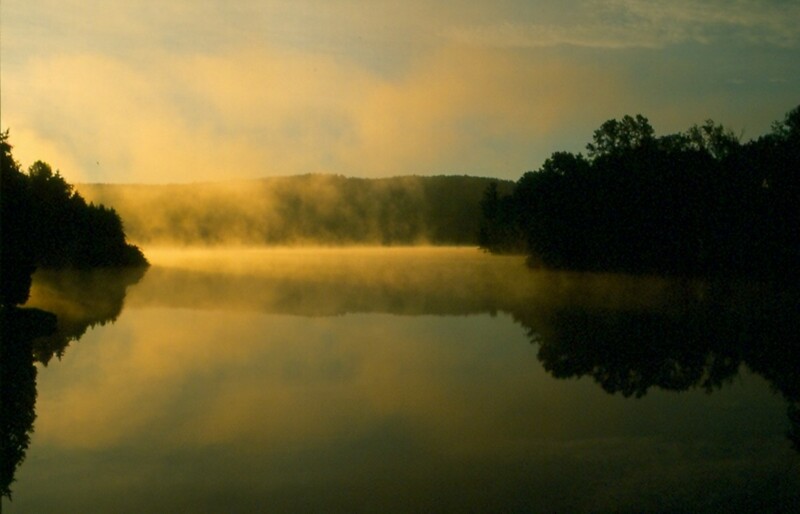 Sunrise over Silver Lake, Barnard, Vermont. Beaver Pond, Searsburg, Vermont. 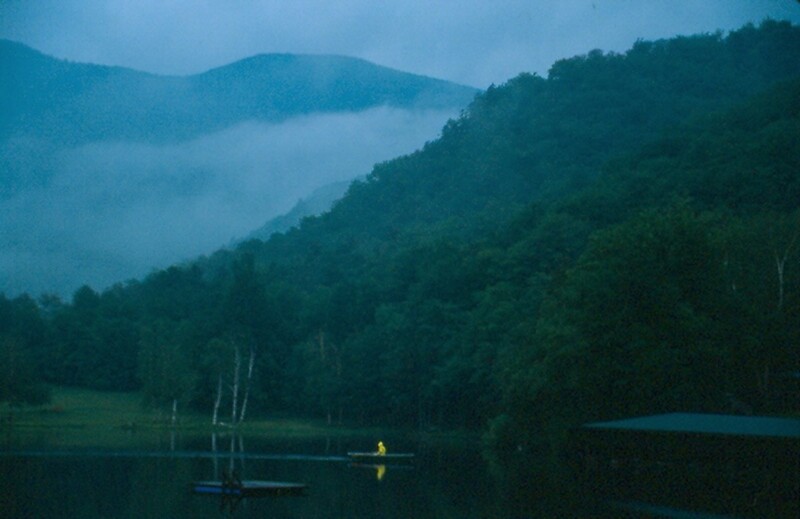 Green Mountain National Forest. Just a note- the Fairbanks Museum is NOT closed for the winter! They are open year-round! Mount Equinox is a breathtaking destination for visit and to see the views of nature beauty. I have been there before my yosemite tours from san jose about few months ago with my friend. We stay there for two days to enjoy incredible beauty of this alluring place. 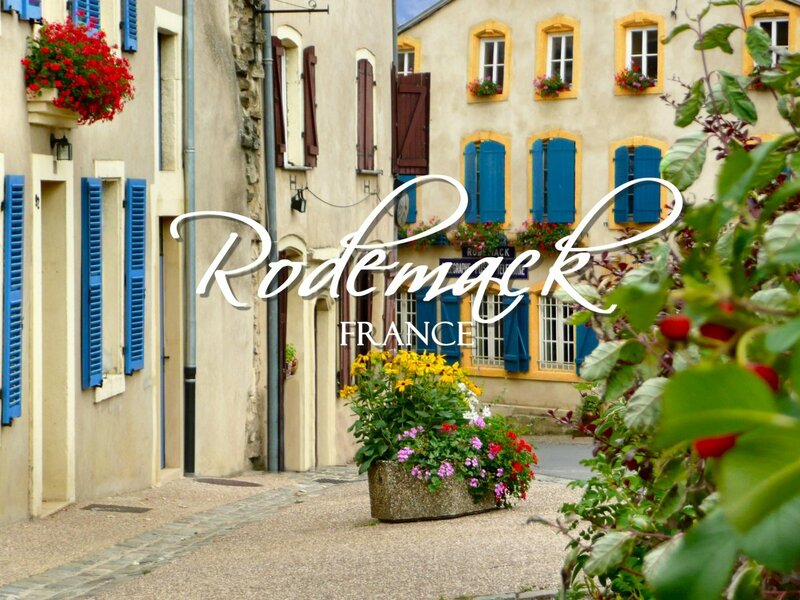 Many traveling and fun lover go there annually for having enjoyment. I will love to be there again my free time. Mount Equinox is a most exciting place for visit. 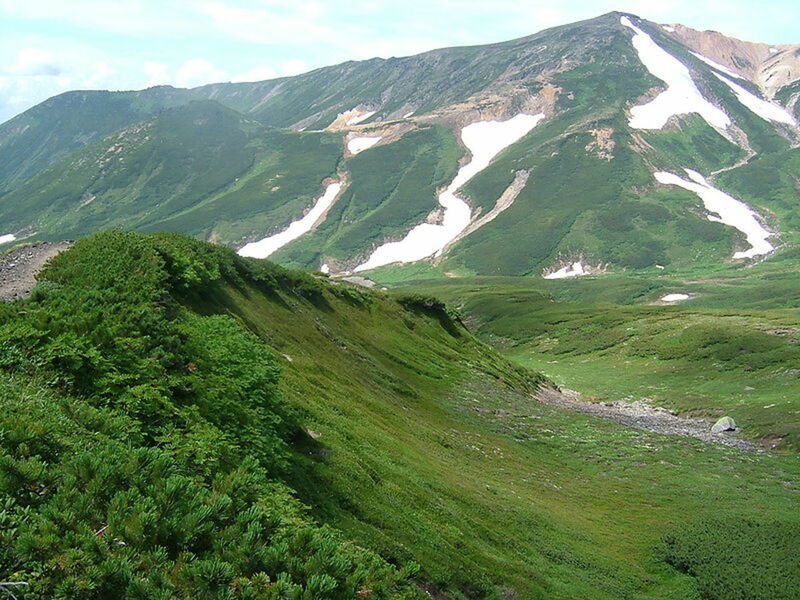 It offers a stunning views of nature beauty and you can enjoy there hiking. It is also famous destination and my favorite too. I love this destination due to tis rich nature beauty. I also visited there before my bus tours to yosemite from los angeles with my friends for having enjoyment. I really enjoyed there photography. Yes, I would like to go there, too, and see where Mr Coolidge Senior, a notary (I believe) administered the oath of office to his son Calvin Coolidge, on news of the death of President Harding. MJ Fenn - There's also the Coolidge homestead near Plymouth, VT. Interesting hub; I also visited the presumed birthplace at Fairfield, Vermont, President Chester Arthur: the President Arthur State Historical Site. Peggy W: Many thanks for visiting, commenting, and rating (hopefully good). Don't let the photo of the capitol fool you. 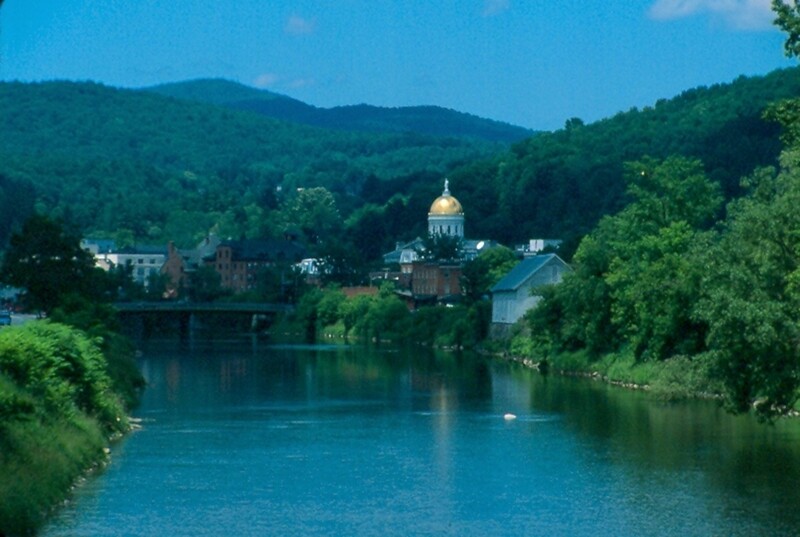 While a river runs through Montpelier, the capitol is tucked nicely at the foot of a hill. I hope you have a chance to visit there someday. We have never visited Vermont and intend to put it on the desired list of places to visit. Your photos are beautiful. What a gorgeous capitol building...and on water! Nice. Enjoyed reading this and rating it beautiful. Thanks! James - thank you very much for viewing! It's always a pleasure to hear from you. I hope you can make it there -summer and fall are best time to go. Thank you for this marvelous journey. I enjoyed it very much. What a beautiful place! I've never been but I intend to go to visit Vermont. 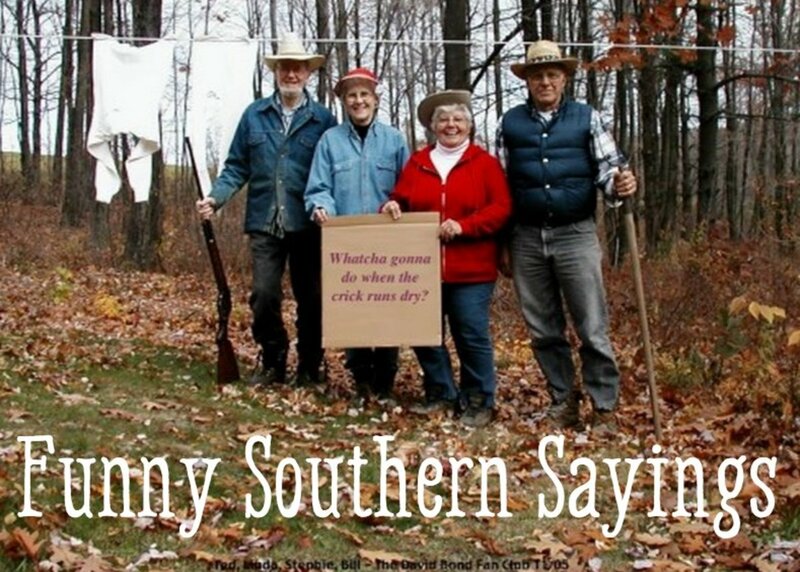 SidneyMorgan - yes, and in the fall and spring too. 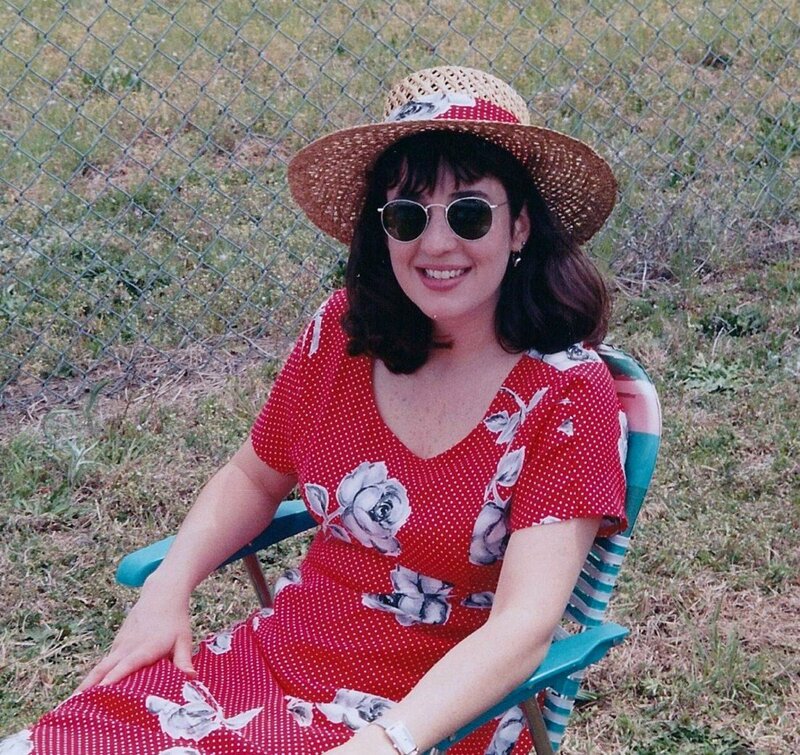 As you can see from my photos I was mostly a summertime visitor to the green mountain state (lol). Many thanks for viewing!